A brand-new series about the underwater world of Minecraft! Brothers Mason and Asher have only ever known the comfort of dry land in the Overworld. But when a terrifying shipwreck leaves them stranded, their new friend Luna urges them to safe haven—underwater. 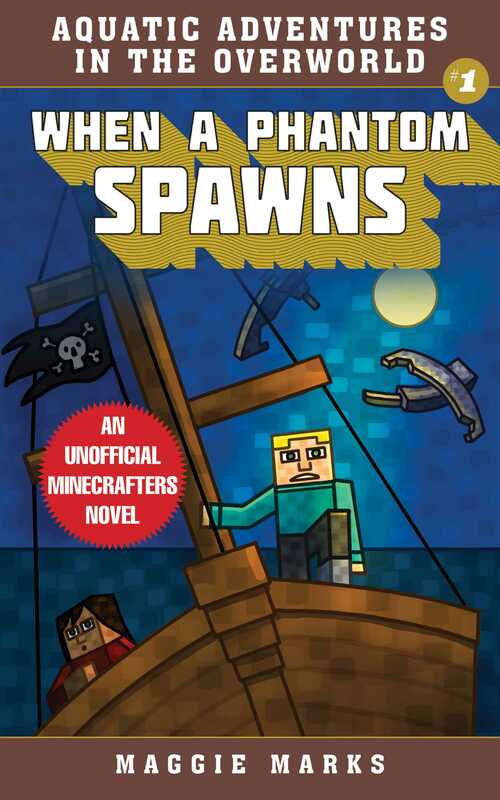 In each story of the all-new series for Minecrafters, Aquatic Adventures in the Overworld, this unlikely trio must make the choice of staying in the world they know best and risk death, or voyaging into an unknown world where anything could happen. Follow their journey as Mason, Asher, and Luna face incredible obstacles and discover strength they never knew they had in Aquatic Adventures in the Overworld. In their first aquatic adventure, Mason and his brother, Asher, wake to find themselves shipwrecked on a deserted beach. Where are they? How’d they get here? And how will they survive? They’ve lost their map, and now Mason is losing sleep, too. Are those phantoms swirling overhead, waiting to strike? A new friend, Luna, urges the brothers to follow her underwater to the safety of the ocean floor—before it’s too late. . .